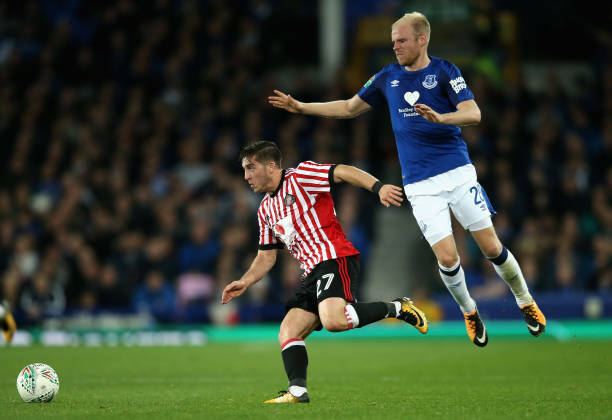 Turkish-Football reported yesterday that Fenerbahce have ramped up efforts to sign Everton midfielder Davy Klaassen on a loan move until the end of the season with a buy-out clause option. AMK Spor claimed today that Everton striker Cenk Tosun has actually advised Klaassen to make the move. Per the source, Klaassen consulted Tosun regarding the Super Lig and Fenerbahce. Despite Fenerbahce being the rival of Tosun’s former club Besiktas he apparently spoke favorably about the Yellow Canaries. The Netherlands international has yet to feature under Sam Allardyce. Big Sam revealed that Klaassen currently does not have a place in the team. Allardyce told the Telegraph: “At this moment in time and from what we see, it hasn’t worked. The lad is prepared to fight for his place, but before I came and since I’ve been here, in all the other players, there seems to be more coming from them than there is from Davy. “That’s a great shame. One, for the club and two, for the player. As a person and lad he’s a terrific young man, but at the moment, there’s not a place in the side for him. Fenerbahce are keen on reinvesting the budgeted wage money freed up by Robin van Persie leaving for Feyenoord on a new transfer before the end of the transfer window. Klaassen would be the Istanbul giants first January transfer. The 24-year-old has just one assist in 13 appearances for Everton this season and has played just 760 minutes of competitive football.